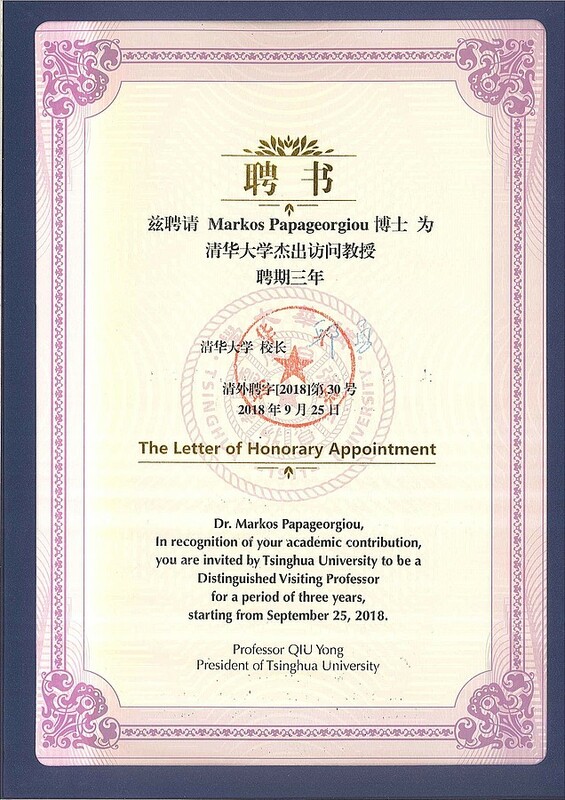 On September 27, 2018, Professor Markos Papageorgiou was awarded the title of Tsinghua Distinguished Visiting Professor, for a period of three years (2018-2021) in recognition of his academic contribution. 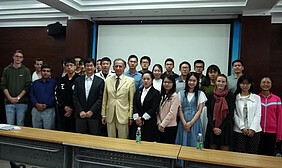 The appointment ceremony was held in the Department of Civil Engineering at Tsinghua University. The ceremony started with a welcome speech by Jianping WU, Director of Tsinghua-Cambridge-MIT Future Transport Centre. He briefly introduced Professor Markos Papageorgiou and his brilliant achievements. 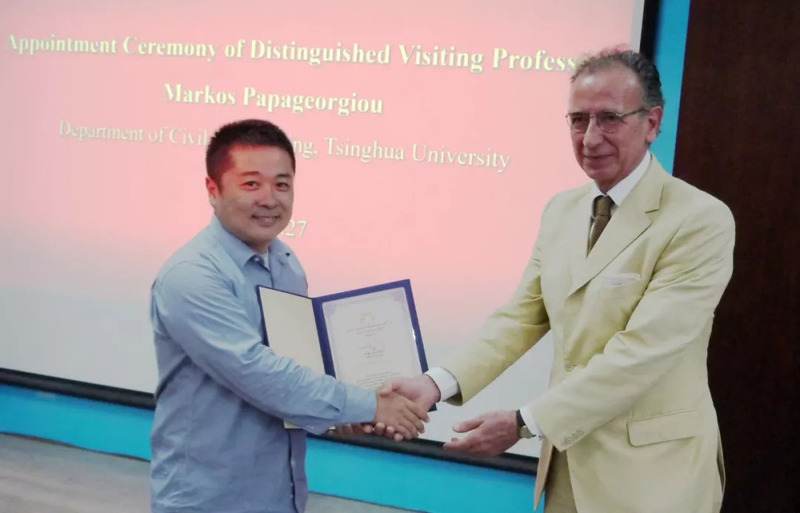 On behalf of the School of Civil Engineering, Professor Keifei LI, Vice Dean of the School, awarded Markos Papageorgiou the certificate of Distinguished Visiting Professor. Over 30 university staff and students witnessed the ceremony. 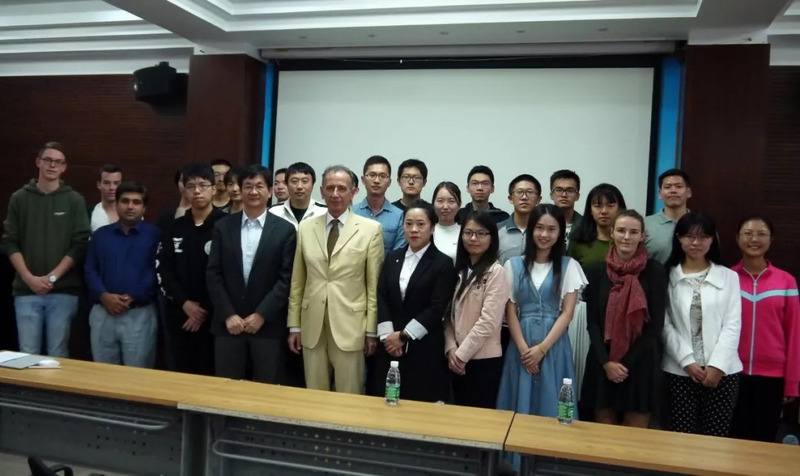 Following the ceremony, Professor Markos Papageorgiou delivered a talk entitled “Traffic Management for the 21st Century”. Tsinghua Distinguished Visiting Professor is an academic honorary title, which is awarded to top professors and scholars worldwide who have a high international reputation and can play an important role in talent training, scientific and academic research for Tsinghua.